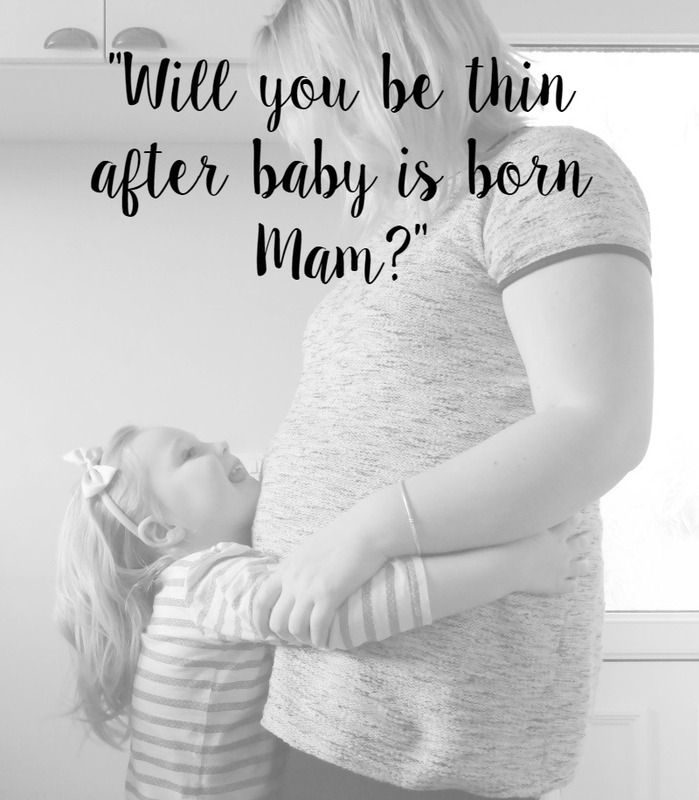 Will You Be Thin After Baby is Born Mam? Ah. Things kids say eh? The past few weeks have been pretty funny with what my eldest, Mia, has been asking and telling me. When bump finally started to show Mia has made all kind of comments at least once a week letting me know my legs are getting bigger, my hips and belly are fat and asking if I will be thin after baby is born. I wish. My plan with eating healthy hasn't really gone to plan but I must admit I have been eating much better through this pregnancy than I did with my first and second pregnancies. When I was pregnant second time round my bump was really big then too but Mia was to young to understand properly what was going on and didn't really take much notice. But this time Mia and Elliw are old enough to understand. Not to understand how baby got there or how baby comes out but they understand that their baby brother is growing inside and they both ask lots of questions about him such as when will he be here and give me and bump a lot of hugs and kisses. One thing that does upset me is that I didn't stick to the Slimming World after I lost 3 and a half stone last year. I have gained most of that but not all, yet! But I am sticking to going to SW group each week to be weighed and see how much I lose once baby is born. However, after baby boy is born I really want that motivation to be able to lose weight again. I would love to get down to size 14-16 by Christmas time. That was my goal 2 years ago and I achieved it in January/February time last year. It felt so good fitting back into those sizes again. Sometimes our bodies don't go back to shape after birth. Pregnancy does a lot to your body. It is very normal to gain weight through out your pregnancy. There are women out there who do go back to shape after pregnancy and they are very lucky. However, most women's bodies don't go back and have to work hard to get back to shape and back to their pre-pregnancy weight. Did your body go back to 'normal' after having a baby?